A throwback to my more film and media centered days. I just saw this film and the performance by Laura Dern is amazing! Although I felt it made a big request of the viewer. You had to watch and experience it and suspend the need to literally understand it, since it often made no sense as you absorbed it all. 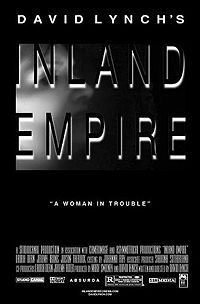 This was a challenge in a highly disturbing and mind bending film like Inland Empire, three hours long that sometimes it lapsed into Polish with no subtitles, which pushed you as a viewer to read facial cues and watch the character’s eyes and expressions to follow the story. I felt it absolutely had to be related to reincarnation. In the film she is thrown back and forth between places, people, the past and the present. It seemed she was remembering multiple past lives, sometimes symbolically and sometimes as images, visions or confused fragments. I felt Lynch was also commenting on the hard social role of women over time and their suffering over time. Besides bringing up the possibility of reincarnation, he also addresses why it might be a disaster if we could remember our past lives. The film shows how it might be identity and reality shattering to glimpse through the veil of time and identity (pierced with a burning cigarette?) At one point in the film Laura Dern yells “Did you know me before?” What a fascinating film regardless of how you interpret it.